Sad mishap at Buffalo, New York! 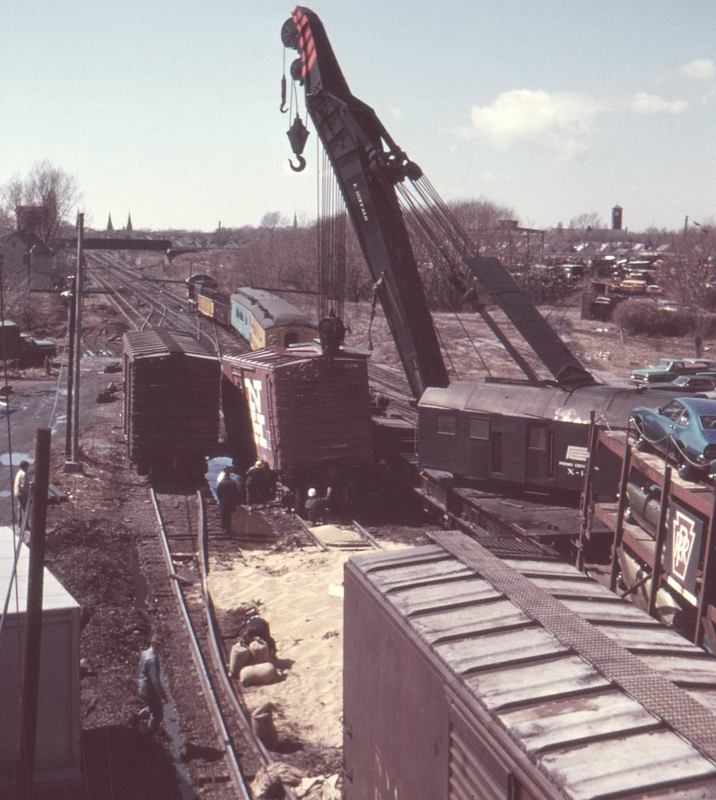 It looks like the wrecker was just starting cleanup at the west end of the New York Central's West Shore yard in Buffalo. Note all the spilled grain; the rats must have loved this. The bridge over the tracks belonged to the Erie (by now Erie Lackawanna). Looking west from the Bailey Street bridge.